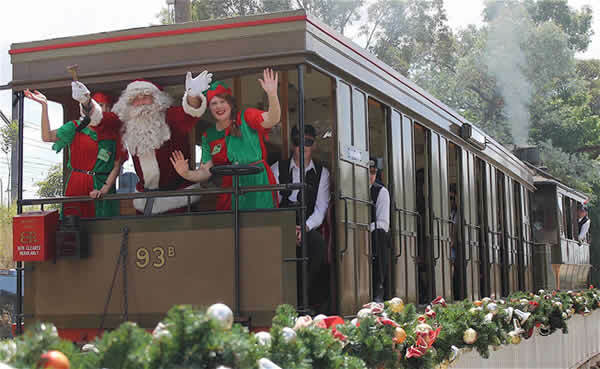 aboard our historic Steam Tram for their annual Christmas visit. Bring the kids and grandkids — tell your family and friends — don’t forget your camera — Santa available for photos — free gift bag for the kids. Page Updated: Friday, 16-Nov-2018 02:49:17 PST.